Limbsaver Sharpshooter X-Ring by SVL Sims Vibration Laboratory. The barrel deresonator tightens groups by dampening barrel vibrations waves. We are offering mulitiples items purchased at a cheaper price for the shipping is included. Made in USA. 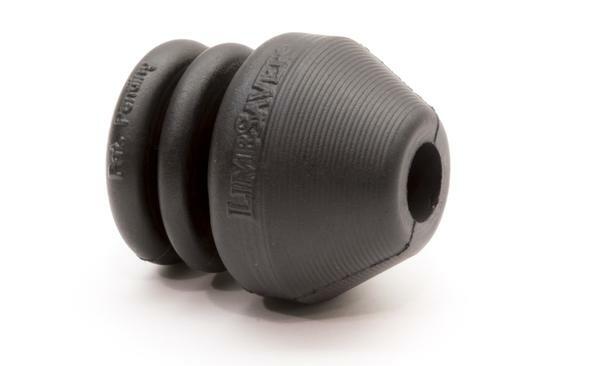 A unique barrel dampener, the LimbSaver Sharpshooter X-Ring helps to improve your accuracy while also dampening barrel whip. It's available in two options -- one for standard barrels and one for bull barrels. The Sharpshooter X-Ring delivers sub minute-of-angle groups, even with over the counter ammunition. 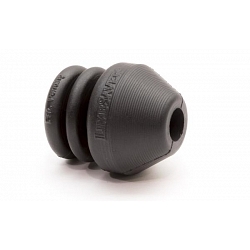 Made from LimbSaver's proprietary NAVCOM technology (Noise and Vibration Control Material), the Sharpshooter X-Ring tunes the vibration waves that affect shot grouping. Each of these individual waves negatively affects the barrel and the Sharpshooter X-Ring is specifically designed to control them. By reducing this energy and tuning the dampening characteristics to a specific location on the barrel, you can consistently control muzzle movement during lock-up time, which translates to greater accuracy. Used by a wide range of sportsmen, competition shooters, military, and law enforcement, the Sharpshooter X-Ring is durably built to be used outdoors in harsh environments. The standard size model fits barrels with 1/2- to 7/8-inch diameters, and the bull barrel size model fits barrels with 3/4- to 1-1/8-inch diameters. The bull barrel model also works on scoped slug shotguns.